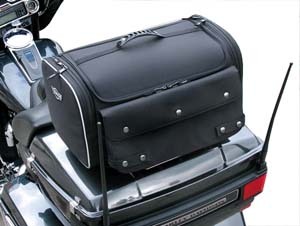 Add convenient extra cargo capacity! Looking for extra storage space? 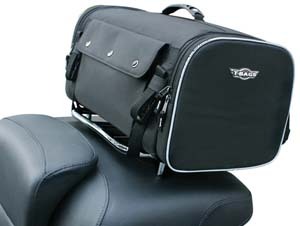 These luggage rack and seat-back bags provide additional convenient storage space when you're on tour. 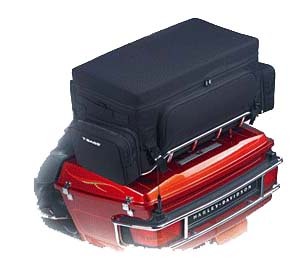 The TL-6, TL-5, TL-C and TL-1 works especially well when you tour with a passenger and is the largest capacity luggage rack bag. 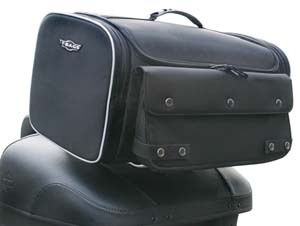 The TL-2 gives you additional extra space when touring alone. 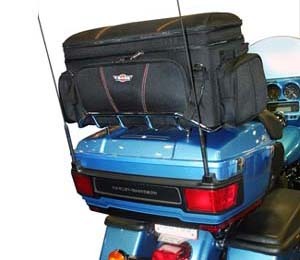 The TL-3 is a slightly smaller luggage rack bag. 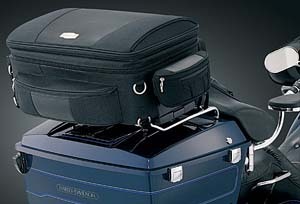 The Grand TL-4 comes with wheels and pullout handle. The TL-A, TL-H and TL-S all work great. 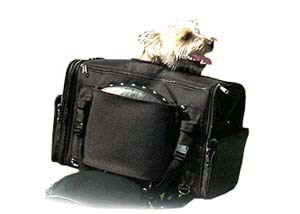 They attach securely and allow you easy access to gear while you are on the road. 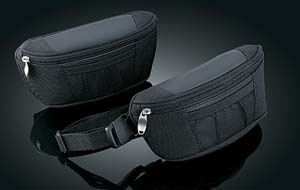 Works well in combination with the Ultra Brace for Tour-Paks, TB-1 or TB-2. 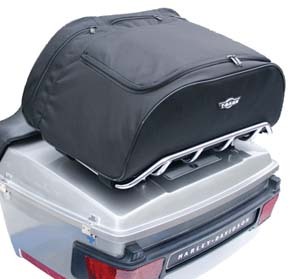 Also see our Gran Tailgater bag....everything but the kitchen sink! 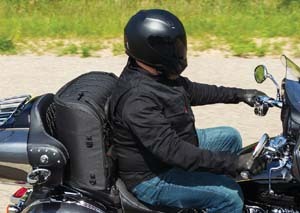 TL-86: Set your sights on the ultimate solo touring adventure with the Touring Seat Bag. 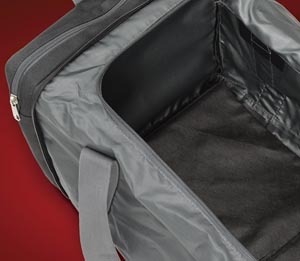 Fits like a glove on the passenger seat of most bikes with tour trunks, and the cavernous main compartment offers organized packing options with its unique integrated mesh dividers. 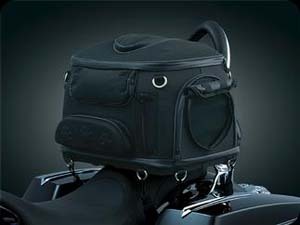 What's more, this do-it-all bag doubles as a backrest, allowing riders to kick back in the saddle while racking up the miles. 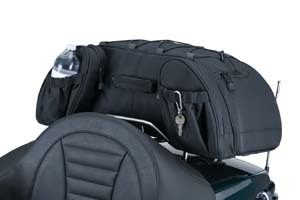 MOUNTING SUGGESTIONS: Using included adjustable mounting straps, secure the bag to the passenger seat base, with the back of the bag against the passenger seat, using four-points of mounting to the D-Rings mounted on the bag. 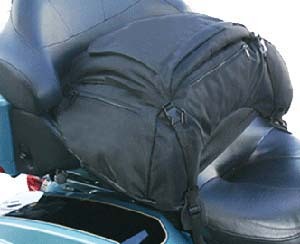 "Pre-load" the straps by applying downward force (without deforming the bag) as the straps are tightened. 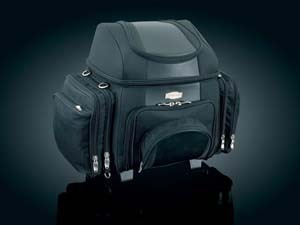 Once the bag has been securely installed, secure any strap-ends to prevent contact with painted surfaces, moving parts, or heat. 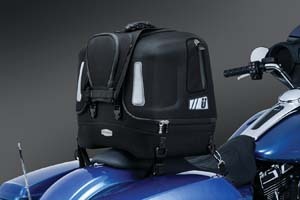 TL-81:The most versatile trunk rack bag in the business. 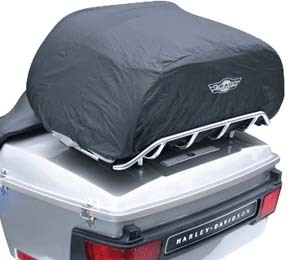 Integrated elastic shock cords with hook-&-loop fasteners make secure mounting a breeze on virtually any tour trunk-mounted luggage rack. 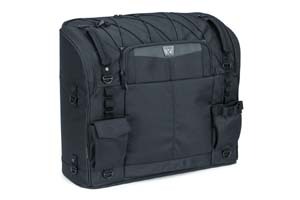 This updated version to our Deluxe Convertible Bag features a wider main opening for easy access, external pockets with MOLLE material for modular attachments, and an external bungee storage system. 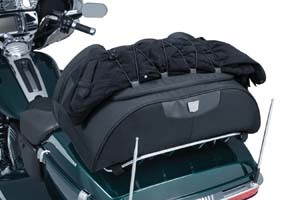 TL-03: This luggage rack bag is made with high quality weather resistant materials, durable construction, and a sturdy mounting system. 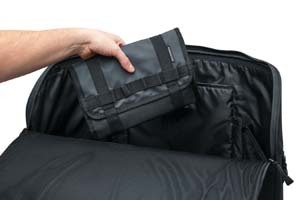 A large main compartment allows for maximum storage. 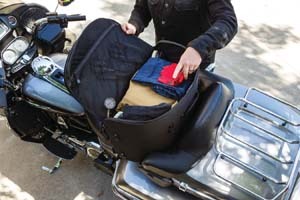 Four additional easy access zippered compartments,and two expandable side pockets add up to 3,320 cubic inches of extra storage space on your bike. 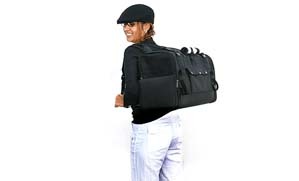 Also included are a rain cover and comfortable shoulder strap. 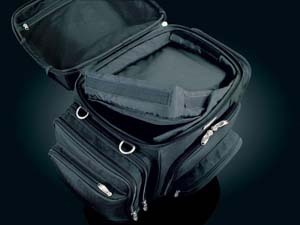 Measures: 20" x 10" x 8 1/2", Main Compartment - 3 Mesh Pockets, 2 Expandable Side Pockets. 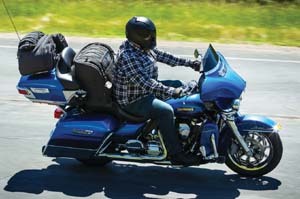 TL-X: Designed for the diehard touring rider seeking a bag that maximizes packing space and fits securely in the passenger seat. 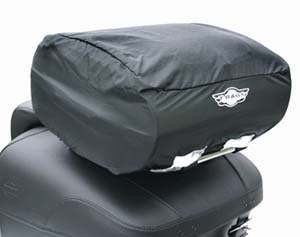 Structurally designed for the rider to lean against it as a backrest while mounted on the passenger seat of motorcycles equipped with a Tour-Pak or trunk. 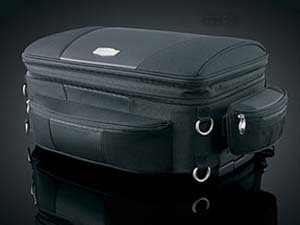 Also includes removable toiletry bag. 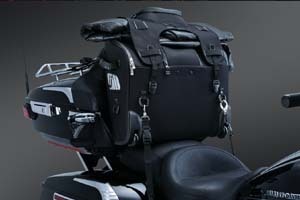 Mounts on backseat of Harley-Davidson touring bike equipped with Tour-Pak. 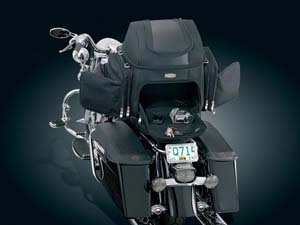 Indian: '15 Roadmaster models & '14-'15 Chieftain models with trunks added, Victory: '12-'15 Cross Country Tour Models, '08-'15 Vision & '10-'15 Cross Country models with trunks added. 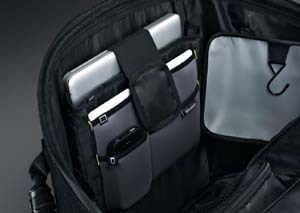 Big organizer for phones, maps, tire gages, etc. 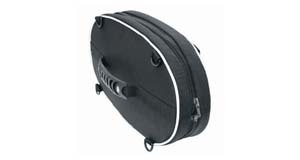 Dimensions: 27” W x 11”H x 15”D Capacity: 2.6 cu. 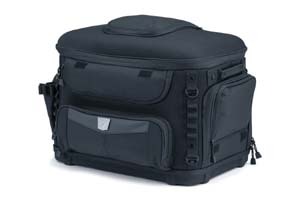 ft.
Large external organizer for maps, tire gages, hand held computers, etc. 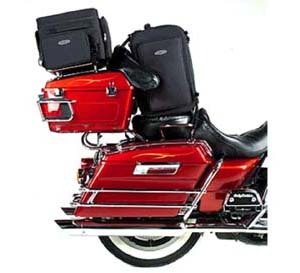 TL-C: Designed for both the smaller (15.5” x 12”) H-D Contoured luggage rack and it also fits perfectly on the larger (20.5” x 14”) premium Tour Pak luggage rack. 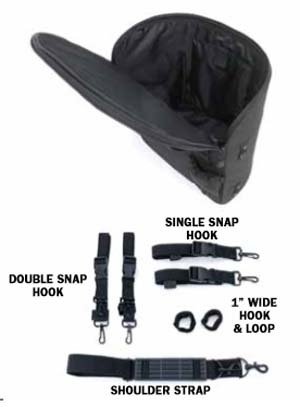 The rigid bag has 4 adjustable side release buckle straps for rock solid attachment. 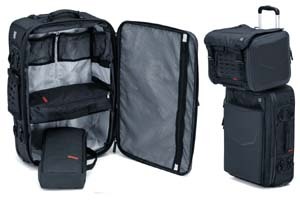 The bag sports a huge top lid for full view access, 2 large side pickets, a space saver organizer, and another front pocket for smaller items. The Concord has reflective piping for night riding safety and includes a bungee bottom reflective rain cover for high visibility in rainy weather. 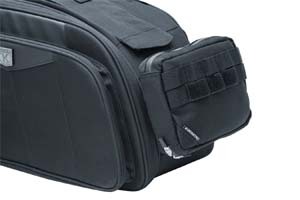 For your loading and unloading convenience, a removable shoulder strap is included. OEM unbeatable Lifetime Warranty. 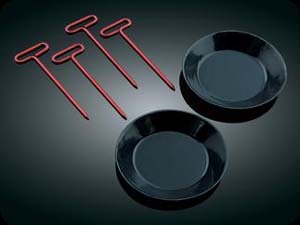 Large external organizer for tire gages, maps etc. 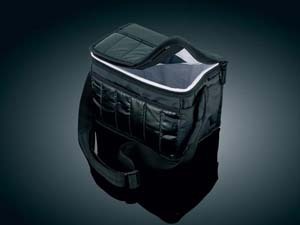 A mid size soft bag - zips flat for saddle bag storage when not in use. 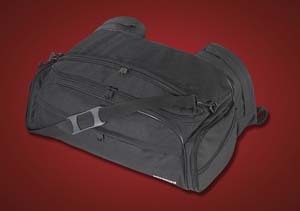 TL-96: Combo Roller Bag. 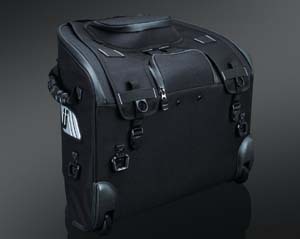 Think of it as motorcycle luggage that meets the demands of everyday life. 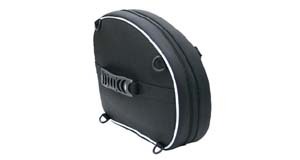 Carry-on friendly with telescopic handle and smooth-rolling wheels, making it the ideal go-to travel companion whether cruising on your bike or rushing through the airport. 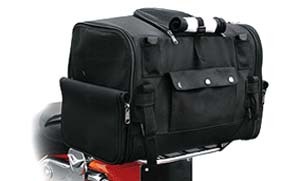 TL-50: This 10" x 11" x 3" travel bag has a shoulder strap for easy carry and can be expanded from 2" to 22" to fit larger purchases, all while easily strapping to your luggage rack to get it home. 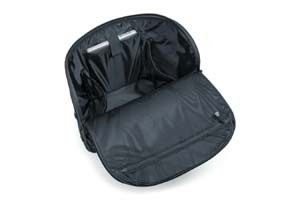 When compact this bag has 3 zippered pockets for convenience, plus the expansion pocket allowing expansion to 22". 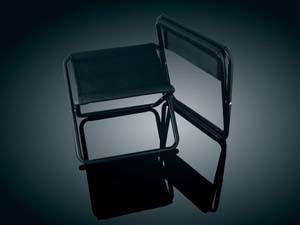 Comes with reinforced base for a secure fit on your luggage rack. 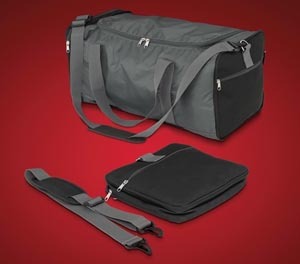 There are two side zipper pockets that are 11" x 6 ¼" plus a top opening storage pocket of 10" x 11" x 2" to handle travel needs and small purchases. 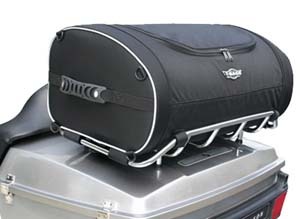 A full zipper expands the collapsible bag by 20" giving a large 10" x 11" x 20" luggage bag compartment, includes rack tie down straps. 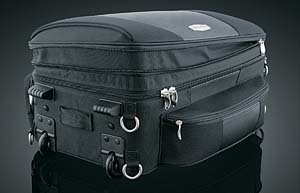 Dim: 22" x 11" x 10", Shoulder Strap with 3 Exterior Pockets, Reinforced Bottom to be Secure on Rack. 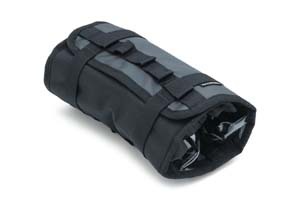 FAL-1: A soft bag with a rubberized arch bottom that minimizes slippage and conforms to the mounting surface as it is tightened. 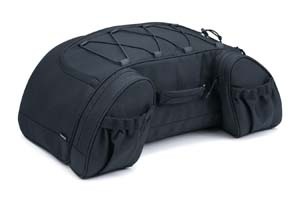 Lots of storage capacity in an attractive low profile touring bag - fits most sport, sport-touring, and cruisers with no backrests. 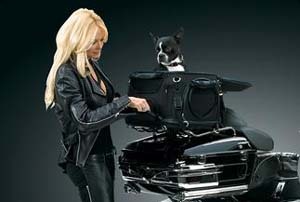 Fits most Harley-Davidson and metric cruisers, sport and sport touring bikes. 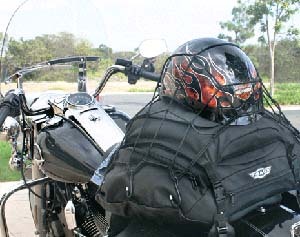 NO LUGGAGE RACK REQUIRED. 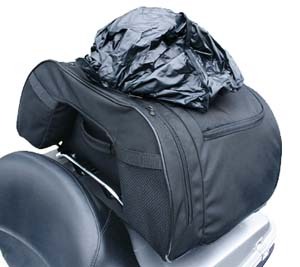 4172: Gran Tailgate Bag. 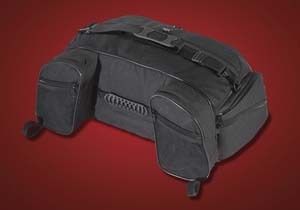 Turn your big game, camping trip or event into the ultimate experience with our GranTailgater Bag! 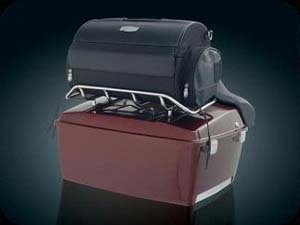 Combining everything but the kitchen sink, this bag will provide you with a tailgate, and cooler bag. Add a set of speakers with amplifier and you'll have it all! Constructed with the quality materials you've come to expect, this bag will soon become your favorite. 4174: Speakers & Amplifier Set. 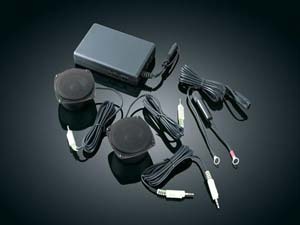 Add music to your tailgating with speakers & amplifier specifically designed for the GranTailgater. Simply slide them into the speaker pockets & connect the standard headphone jack to your iPod, personal CD player, MP3 player, etc. 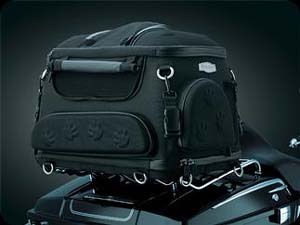 PC-88: Take your favorite four-legged family member on the road trip of a lifetime with the safest and most versatile motorcycle pet carrier available. Updated styling, amenities, plus additional ventilation and internal space for your fur baby make the Grand Pet Palace the ultimate home away from home for your pet. 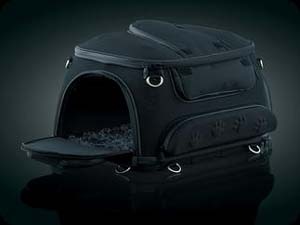 An internal frame with rigid structural support offers peace of mind knowing your pet is protected. Also fits on top of Tour Paks. Weight limit? 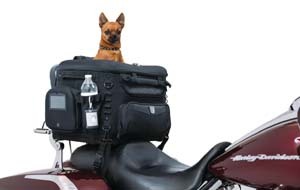 Follow your bike manufacturers' suggested max load on your luggage rack or Tour Pak to determine if your pet is safe to ride along. 19.5" wide total. 12"tall and 9"deep. 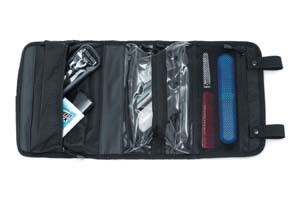 SB-59: Whether used as a tool roll or Dopp kit, the Travel Accessory Bag is a convenient option to carry those ride essentials. 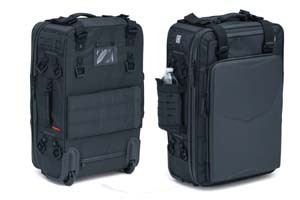 Rolls up for easy storage and features MOLLE loops for external integration with other luggage to free up all-important packing space. 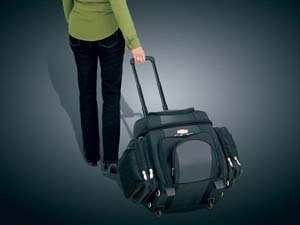 SB-64: The ultimate add-on for luggage is great for small items like tools, keys, power cords, flashlights, extra spark plugs; you name it. 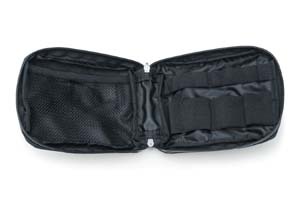 Attaches to any luggage equipped with MOLLE via integrated snap straps. 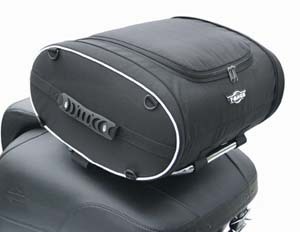 TL-86 has padded face for back support!